Whether it was fishing spots or hunting spots, they were always presented to me in a sacred way when I was a kid. When we would find deer and guys would ask if we saw anything, we'd say "no" to try and throw them off the scent. If we were fishing and people asked if we caught anything, we'd do the same. I've even had buddies who have told others the completely wrong bait to use. Pretty messed up, right? It was all in fun when we were kids. I was taught to not tell anyone about these special areas as if they were a secret. Maybe they were back then. I still treat certain spots like that and I'd say we need to be more than just coffee buddies for me to take you there. Still to this day, if I find a bomber hunting spot, my dad will tell me to never tell anyone about these areas. Most of the time I listen. On the off chance that I don't, I am always presented with a kind of conundrum. "Did I make a mistake?" Not all people have the same code of ethics. I feel that there is definitely an unspoken agreement among hunters when it comes to the ethics surrounding hunting spots. All of us work our tails off to find good hunting and it is natural for us to be slightly protective of our findings. After working so hard to find them, why wouldn't you be? It's like buried treasure. However, in light of that, there is a code. At least there should be. Let me pose a situation for you. Say you take a buddy into one of your spots. You guys have a great time, see lots of critters and, in the end, are counting the days until the season starts. 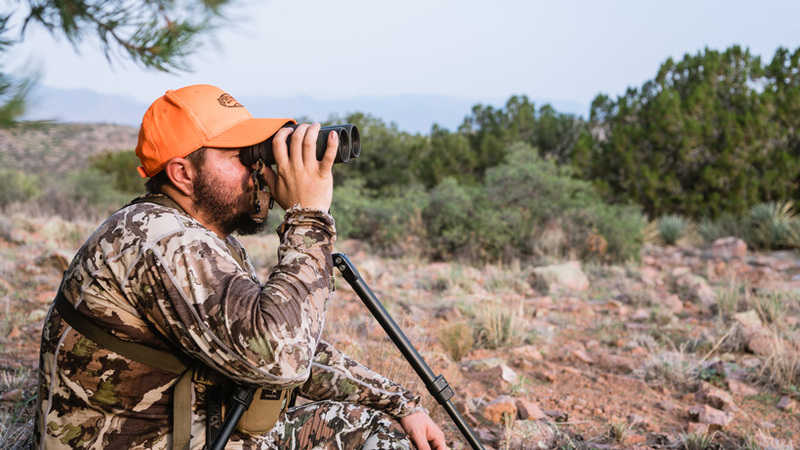 Later in the season, you are heading into your "secret" spot for a day hunt and run right into your buddy with another person—someone you have never met. Cool? They never asked if you minded that they bring an outsider into this area. They just did it. What are your thoughts on that? I'm not gonna lie; I'd be a little eaten up if that was me. Yeah, it's a free country and all, but there is a level of respect that needs to be met, if you ask me. Maybe I am just old fashioned, but if someone brought me into a special area, I wouldn't even go in there solo without running it by them first. After all, they did all of the work and who am I to capitalize on that? Hunting is a very personal thing. I cherish my time out there and try to give the same respect that I expect returned to me. It saddens me to say this, but, on more than one occasion, I have heard of people having absolutely zero respect at all for other hunters and their spots. It's sickening really. All of us are out there, trying to have a good time and disconnect from the grind back home. To get out there and have a tainted experience is not what any of us are shooting for. Why someone would willingly be disrespectful to another hunter out there baffles me beyond belief. I've heard of people just walking up and sitting down next to folks that I know to glass the same country. What is that? I would never do that to someone. 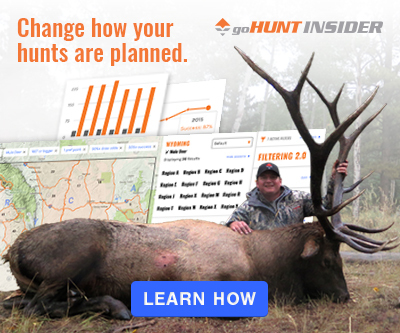 How about folks seeing videos of hunts online, recognizing a landmark, and then heading in there? People want things quick. Instant gratification. That is the world we are living in. To do this is to completely miss the point and ignore the process altogether. Those that don't relish the process, I feel sorry for. You are missing out on something very special. For that process is what builds us into great hunters. Aside from all of that I have mentioned above, we need to remember something. 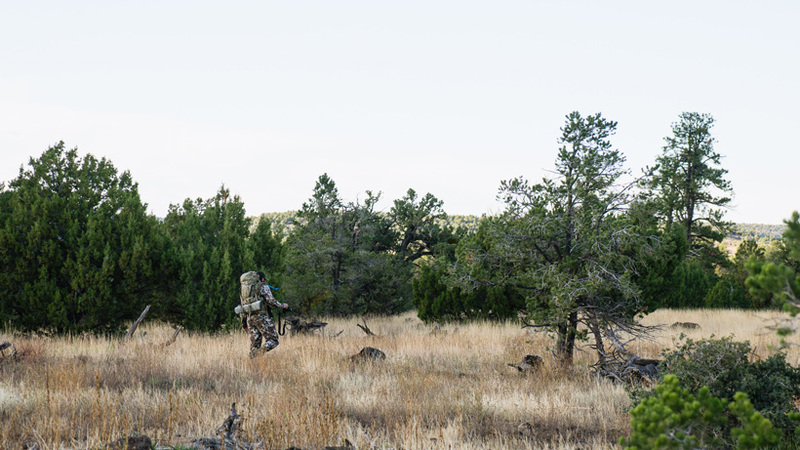 Yes, we put in a ton of work to find hunting spots on our own. Yes, it pains me when I might see someone else in an area I have never seen a person in, but these are our lands. Not mine, not yours, ours. If you show up at your glassing spot and someone is already there, then that is fine. Time to go find another area for the day. They were there first and have just as much right to be there as you do. 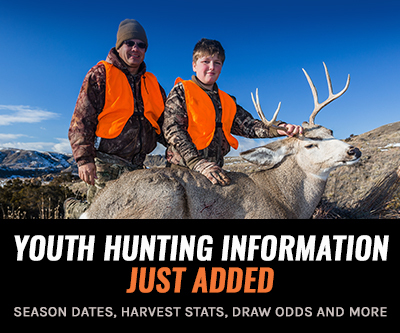 This is a great opportunity to grow as a hunter. 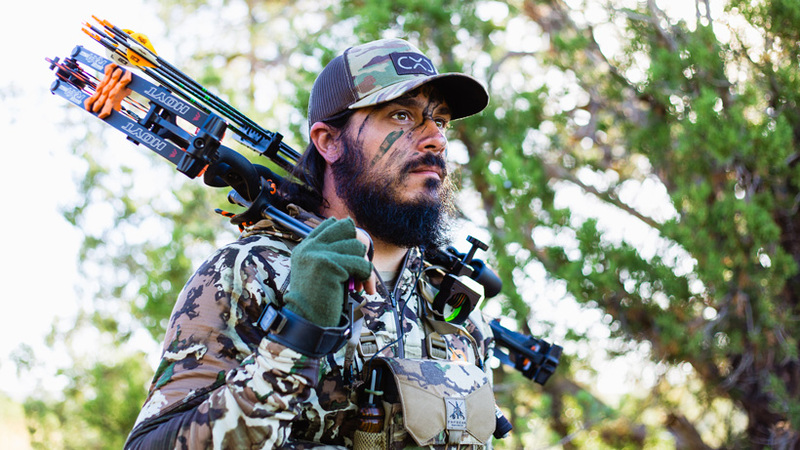 Being able to adapt to certain situations in the field is huge and what will often result in filling that tag. Here's another one. If I am on a backpack hunt and run into someone else out there, all I can do is wish them luck. They worked just as hard to get back there as I did. Kudos to them. In this instance, I will work with them and coordinate where we are going to hunt. Neither of us want to ruin anything for the other party and both want to be successful. The same goes if I am out day hunting from the truck. Work together, not against one another. Last I checked, we were all hunters. While the ethics surrounding hunting spots are not written in stone, it is up to us to realize what is right and what is wrong. When your buddy shows you his secret hunting spot, treat it as such. They were nice enough to show you something that they hold dear. When someone might have beaten you to the punch and is already in the area you wanted to hunt, flip the roles. How many times were you the one that was there first? This year was pretty eye-opening for me. In multiple areas, where I have never seen another person, there were people. It was humbling in a way for me to have to deal with that and realize how spoiled I had been up until this point. Going through this made me want to get out there and find even more spots and go deeper into the backcountry. In the process, I actually made some new friends along the way—good people that put in the work. The whole time I was hearing my dad in the back of my mind, telling me to not tell anyone about these havens. Part of me still feels like that and abides by those rules. The part that appreciates self-preservation. Heck, I probably always will. That's just me, though. How about you? 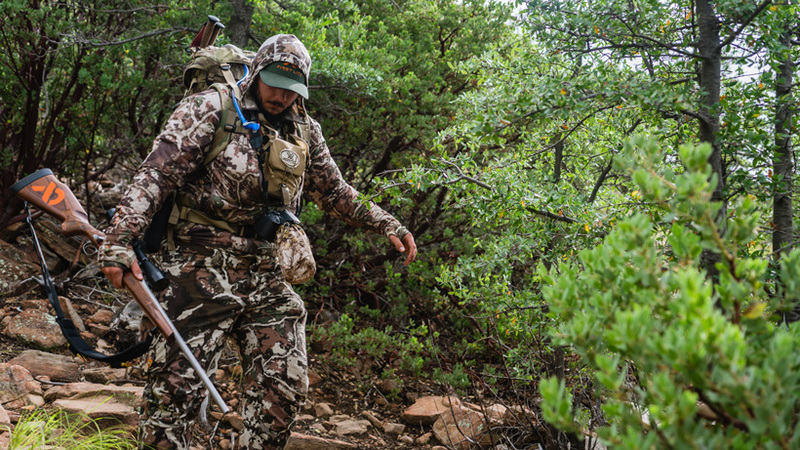 For another look on this subject, check out the article, Why hunters don't share their secret spots. 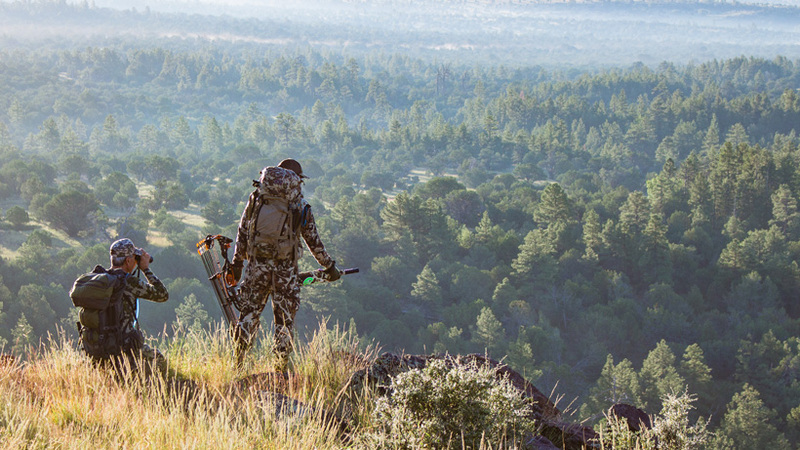 Public land is just that, owned by everyone. So finding another hunter in your area is always a possibility. My uncle used to share our family elk camp with oilfield execs and managers he was courting the business of when I was a kid. They were all from out of state, and eventually they brought friends who brought friends, who brought friends and we quit camping and hunting in that area. It was no longer "our family's " heritage elk camp. I used to be mad about it, but now I realize that everyone of us owns it. Even that place was public land. So we moved to a new camp, and eventually it got over ran with other people who would bring their campers up in September and hunt both seasons. I have gotten to the point where I don't even tell people what outfitter I use, as I don't want them to get too popular and raise prices or cheapen quality. If you want good hunting lands, take a loan out for an Ag loan and buy as much land as you can and build it up for wildlife and don't allow anyone to hunt anything, and you will have a great spot. This happens all over the US. 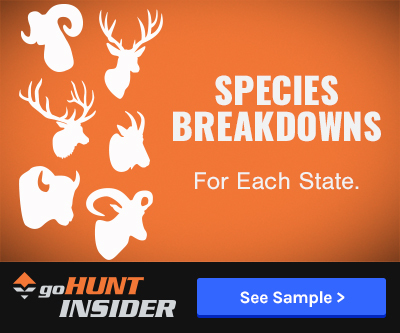 Hunting as well as shed hunting. The author talked about “instant gratification “.. this is exactly what them guys ya thought were good pals are doing. Leapfrogging off your hard earned time and persistence. They don’t want the whole experience. They want to put themselves on a pedestal and say “ I don’t care how I got here, but it’s done and that’s all that matters “. All these types will have a day of reckoning with in themselves in some shape or form . It’s natures law. Damn good read. Agreed! Toughest part is teaching my family this. The reward is so much greater the harder the journey. The learning and preparing. Please don't give it to me, make me work for it. Been elk hunting twice(No guides), I haven't personally gotten one yet but the whole experience has been so amazing and have learned so so much and can't wait to go this fall again. The forums all over the internet are filled with self loathing hunters. Nobody has respect for anyone in the real world. Its a sad state of affairs. Its getting worse by the year. Way worse. Less land to hunt and overcrowding has really made things ugly out there. This article hits the nail on the head. I also don't understand the people who don't respect others.